Spring is the perfect time to visit Big Bend National Park. The weather is neither too hot nor cold and wildflowers color the landscape. Located in the far west corner of Texas, this park is known for its natural landscapes encompassing river, mountain, and desert ecosystems. If you love exploring outdoors, take your pick from hiking, horseback riding, rafting, jeep touring, or biking in this lightly visited national park. 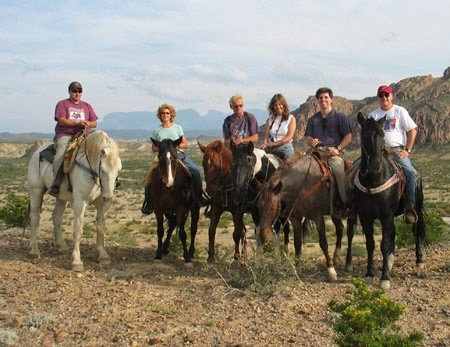 Ride horses over mountain ridges in the wide open spaces of Big Bend.